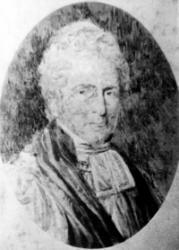 Gerard Thomas Noel was born in 1782. His studies were pursued at the Universities of Edinburgh and Cambridge. He graduated M.A. from Trinity College, Cambridge. He was successively Curate of Radwell, Vicar of Rainham, and Curate of Richmond. In 1834, he was Canon of Winchester, and in 1840, Vicar of Romsey, were he died in 1851. He published some Sketches of Travel, and a Selection of Psalms and Hymns. --Annotations of the Hymnal, Charles Hutchins, M.A. 1872. Noel, Hon. Gerard Thomas, M.A., elder brother of the Hon. Baptist W. Noel, was born Dec. 2, 1782, and educated at Edinburgh and Cambridge. Taking Holy Orders, he held successively the curacy of Bad well, Hertfordshire, the Vicarages of Rainham and Romsey, and a Canonry in Winchester Cathedral. He died at Romsey, Feb. 24, 1851. His published works include Fifty Sermons for the Use of Families, 1830; Sermons preached in Romsey, 1853; and Arvendel, or Sketches in Italy and Switzerland, 1813. In this last work some of his earlier hymns appeared. 1. If human kindness meets return. Jesus the Friend. This appeared in his Arvendel, &c, and his Selection of Psalms & Hymns, 1810, No. 45. It is in extensive use. 2. Stamped as the purpose of the skies. Missions. This is found in the February number of the Christian Observer, 1810, in 6 stanzas of 4 lines, and is signed "N." In his Selection of Psalms & Hymns, 1810, No. 48, and in the 3rd edition, 1820, No. 174, it begins "Mark'd as the purpose of the skies." In this form it is known to the modern collections. 3. When musing sorrow weeps [mourns] the past. Desiring Heaven. Given in the second edition of his Selection 1813, No. 48.